WOW! This is really pretty! I love how you colored it! love the watercolor look of this card! So, so pretty! I just love Penny Black stamps, and you've done a beautiful job with this one! 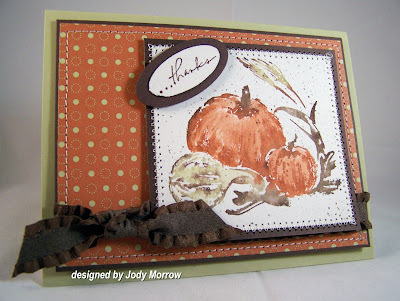 Beautiful card, love the fall colors!